PERHAPS BEST remembered in the ring for his two fights with Joe Louis, heavyweight champion Max Schmeling remains unjustly associated with Nazi Germany and was unfairly depicted as a villain in the United States. His title and image were used as a propaganda tool by Adolf Hitler to demonstrate Aryan supremacy. But by all accounts, Schmeling conducted himself as a gentleman and sportsman. In fact, may years later, it was revealed that Schmeling risked his own life by hiding Jewish children in his hotel room and helping them escape Germany. Schmeling turned pro in Germany in 1924 and won the German light heavyweight title in 1926. He'd also win the European 175-pound title and German heavyweight crown before coming to the United States to fight. In New York, in 1929, Schmeling made his mark by defeating a pair of top heavyweights -- Johnny Risko and Paolino Uzcudun. Those victories earned him a number-two ranking and a shot at the heavyweight title. In 1930, he met Jack Sharkey at Yankee Stadium for the vacant heavyweight title and won the crown via disqualification when Sharkey was DQ'd in the fourth round for hitting Schmeling low. It remains the only time in history that the heavyweight title was won on a foul. 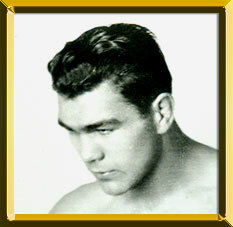 Schmeling fought once in 1931, successfully defending the title against Young Stribling with a 15th-round TKO. In his next defense, he lost a controversial split-decision and the title in a rematch with Sharkey. Two months later he battered former welterweight and middleweight king Mickey Walker into submission in eight rounds. Then, in 1933, Schmeling was knocked out by Max Baer. Schmeling's next significant bout came in 1936 when he knocked out the unbeaten 22-year-old Joe Louis. The German knocked Louis down in the fourth round and knocked him out in the 12th. When Louis won the title a rematch was scheduled for 1938. With Hitler's power base widening in Europe, the Louis-Schmeling rematch became more than just a heavyweight title fight. It took on political ramifications as Louis was cast in the role of representing America with Schmeling being projected as the symbol of Nazi Germany. The rematch didn't last long, as Louis scored a devastating first-round knockout. Schmeling served as a German paratrooper during World War II and resumed his career when the war ended. He fought until 1948 before retiring.